London ArtsFest is presently working on developing partnership projects with the UK based and international organisations and communities in order to provide education for young people from underprivileged backgrounds, both within the UK and in developing countries. These projects will focus on education in the arts, culture, history and environment. London ArtsFest invites proposals for collaboration from festivals, cities, regional and other organisations form the UK and all over the world. We would also welcome proposals from prospective Corporate sponsors and partners. Please contact us with your brief initial proposal for collaboration. 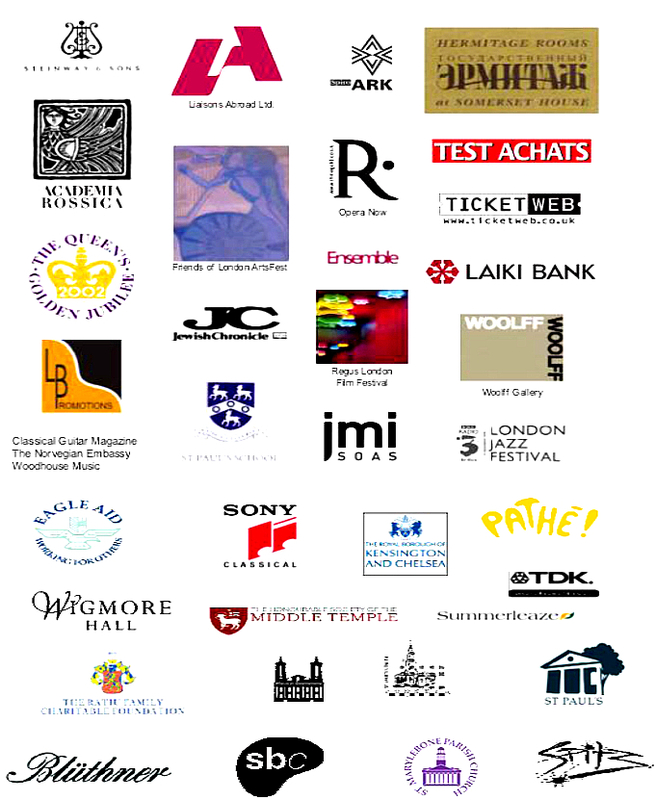 Over the years London ArtsFest has had successful collaborations with a number of Partners, Sponsors and Venues, some of which are listed below.